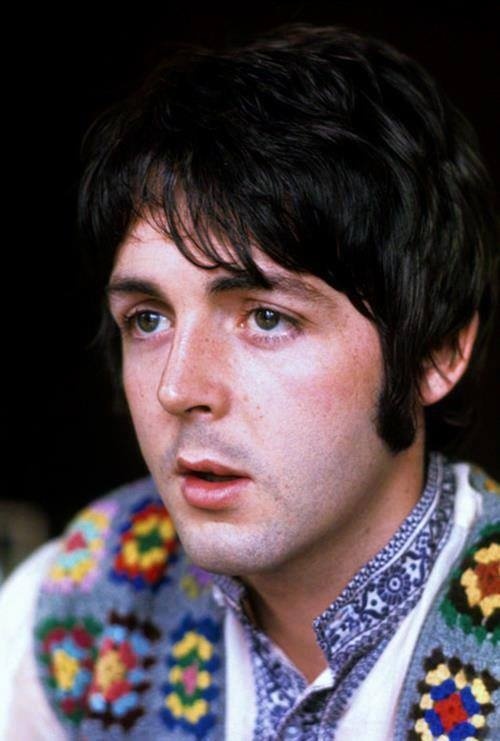 Don't know why Paul's sweatervest wasn't already a topic, but ok. Have any of you bought or made a replica of it? I'm currently working on knitting one. 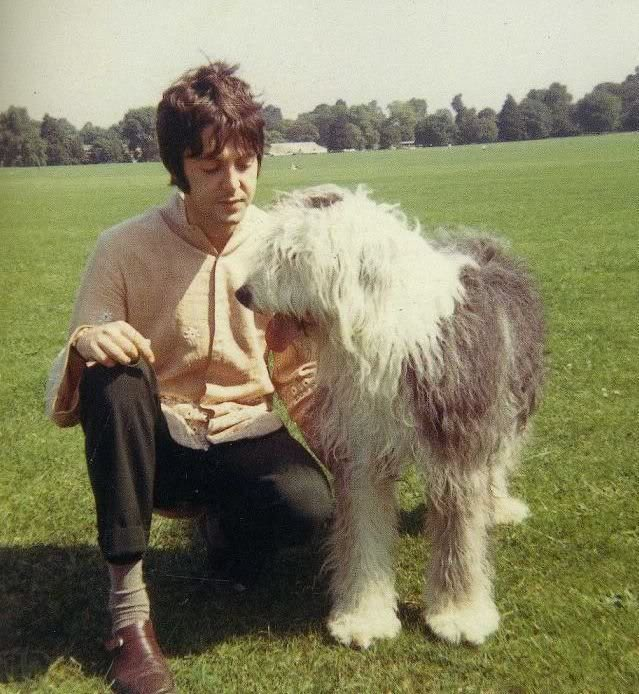 Also is there any other clothing you've seen Paul wear that you find interesting? I made a granny-square vest slightly inspired by Paul's, though it didn't end up looking much like his. 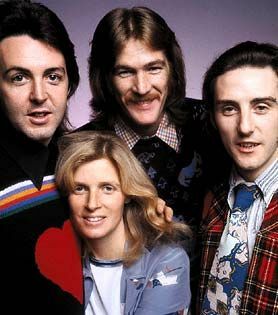 I seem to remember mithveaen made a sweater vest like Paul's. I know she replicated Paul's Pepper outfit years ago and posted pics in the Halloween thread. Sadly, the pics were taken down. Too bad - she looked amazing in it. To the fountain of perpetual mirth, let it roll for all its worth. And all the children boogie. 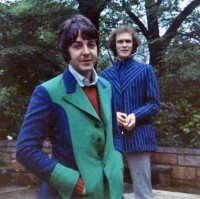 I'd rock the MMT clothing from the I Am The Walrus video! BEATLES Music gives me Eargasms! 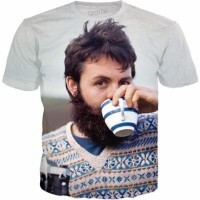 If you want to wear a shirt of Paul wearing a Paulish sweater. If this is not a real shirt, I'm gonna be really dissapointed. It can be your for $29.99. I NEED all of them! You all can have his MMT sweater vest. I'm holding out for his "Waterfalls" vest. Not a bit like Cagney. Is this thread for sweaters only, or does the Joker Jacket get some love? Check out my fan video for Paul's song "Appreciate" at Vimeo or YouTube. Well, the title of the thread has 'other Pauling Clothing', so his Joker Jacket definitely gets done love!